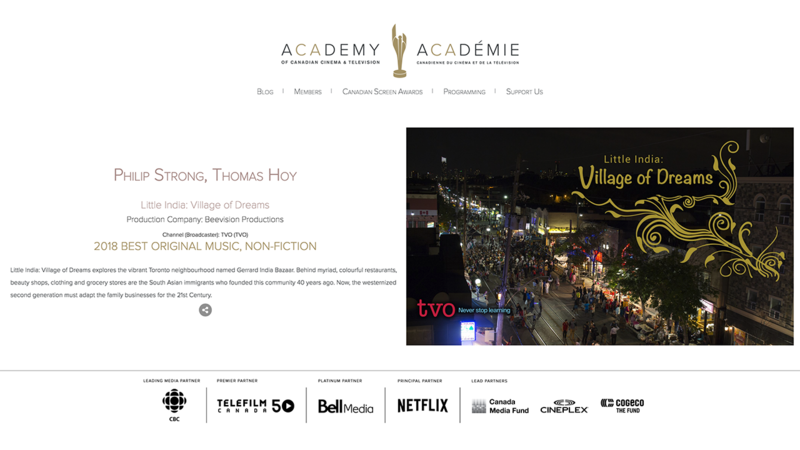 Congratulations to Co-Composers Philip Strong and Thomas Hoy who are nominated for “Best Original Music, Non-Fiction”. We are getting excited to attend the 2018 Canadian Screen Awards dinner on March 6th! Read this beautifully written blog by Philip Strong on the complexities of scoring the music for Little India: Village of Dreams here. Explore the Little India: Village of Dreams website and watch the film and our webisodes!